Sensory Play (simply put: play that involves one or more of the 5 senses) can be extremely enjoyable for children. In my experience is can be very beneficial and therapeutic for some children with special educational needs. 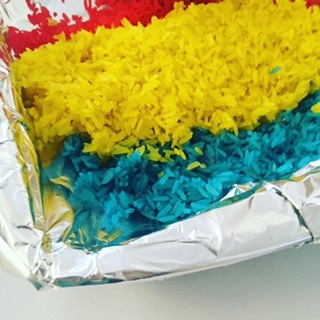 We often write about Sensory play activities on The SEN Resources Blog. Have a look here. Over the last year we’ve shared all sorts of Sensory Play recipes for making home made snow, salt dough, play dough, coloured Play rice etc. In addition, we’ve enjoyed sharing our ideas for sensory play such as dinosaur shadow drawing, Sensory alphabet activities, dinosaur fossil hunt etc. But there’s also some fantastic Sensory based Resources and Toys out there that make great resources or gifts for children. We’ve tried and tested them- so I can genuinely give them our stamp of approval. “We have fallen in love with this toy. Kinetic Sand is like some sort of super toy! One minute you’re moulding it like play-dough..then the next you’re sprinkling it like sand! As my toddler says..”It’s Magic”….” continue reading our review here. “The children (and if I’m honest..and me!) found it really relaxing to play with. Not just because it feels interesting between your fingers, but it also has a lovely crunching sound when you pull it apart.”…continue reading our review of Playfoam here. 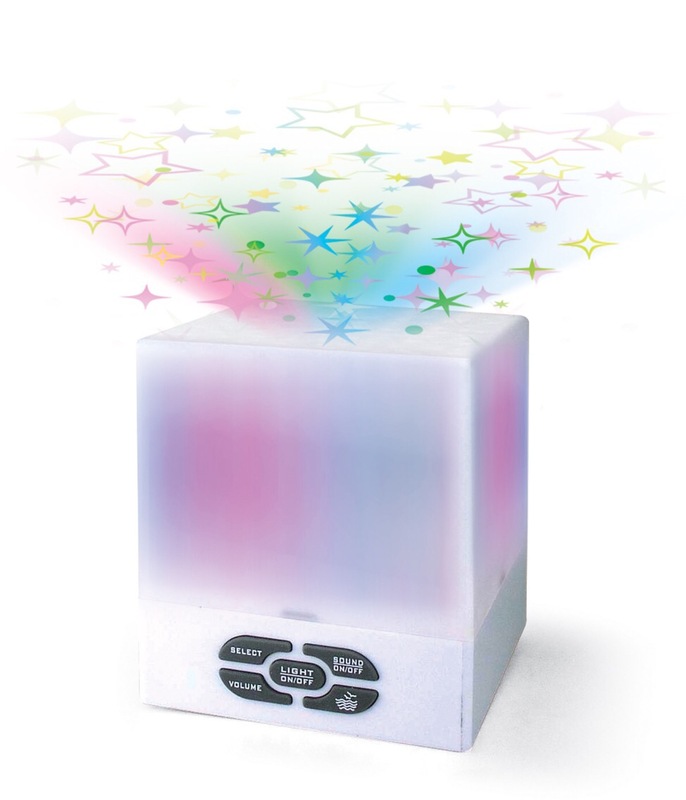 A calming and compact cube that projects gorgeous, colourful stars onto the ceiling. It also plays an array of calming lullabys and has a white noise option. 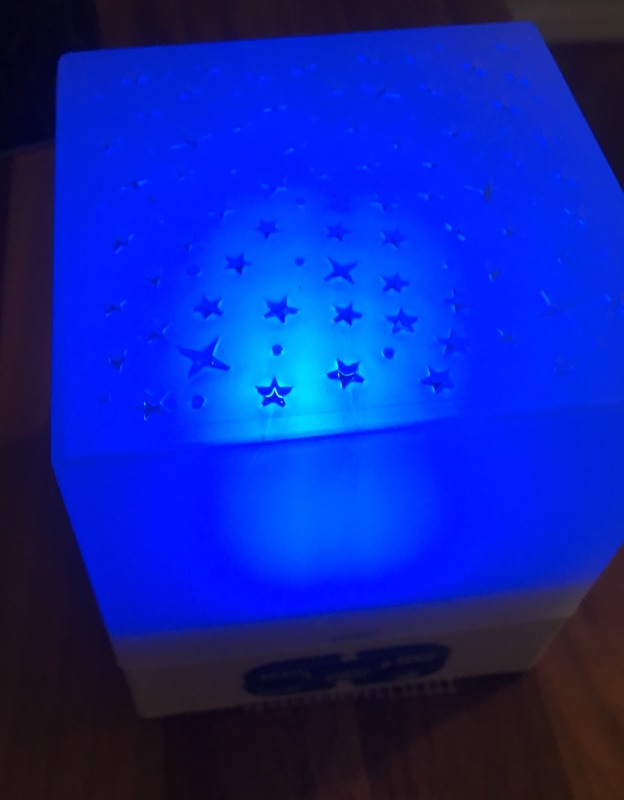 Brilliant for helping children and adults relax and fall asleep more easily. It’s particularly handy as it’s portable: it can be powered by batteries (under adult supervision) and is small- so it can fit in an overnight bag to help little ones fall asleep well when on holiday/staying with family. We think the Chewigem products are genius! For those of you who haven’t heard of them yet, Chewigem make safe, chewable jewellery for autistic children (and adults) and or those with Sensory Difficulties. Their range includes everything from chewable jewellery (chewellery!) to chewable pencil toppers. They also sell fidget toys. Great for providing a safe, portable and trendy way to support Sensory needs. Find their products on Amazon here. Perhaps the easiest way to set up Sensory Play activities! My kids love these, you simply pour the packets into water and ‘ta dar’ it’s done (big fan of time saving and ease here!). They have a whole range of Sensory Play products, we tried our GelliBaff (think squishable, drippy jelly), Snoball (a pretend snow mixture that you can make snowballs from) and SlimeBath (a great easy to make slime). You can put them in the bath with the child or just a small amount in a tray for them to to play with. I loved that they say they are safe for kids,not irritating to skin and easy enough to clean up afterwards. *Please note we were sent sample products for review but all opinions are our own. This post also contains some Amazon affiliate links to make it easier to find the products. We get a small referral fee, at no extra cost to you, if you buy the product via our website. Find out more on our About Me Page.